Stands in modern, beautifully shaped steel construction. Work table and cross table machined in a thick-walled, highly ribbed and torsion-resistant CNC grey-cast iron design. Cross support with adjustable ball guidance. 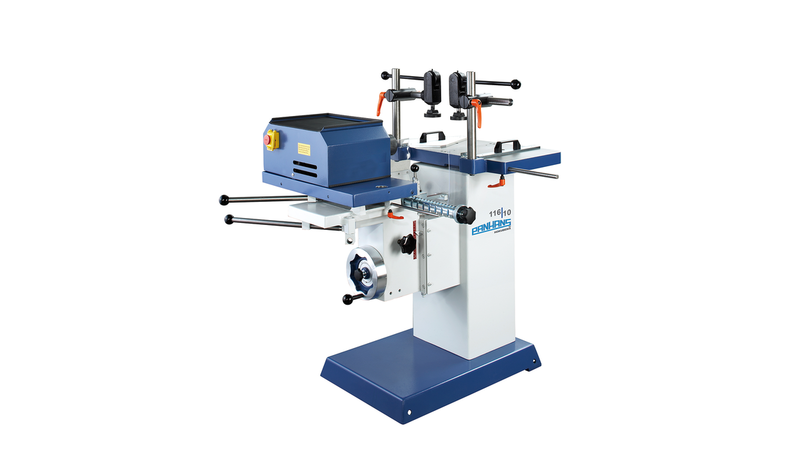 Standard equipment features include a workpiece stop, a frame stop, a mitre fence, a dowel drilling device, moving device and two eccentric clamps.